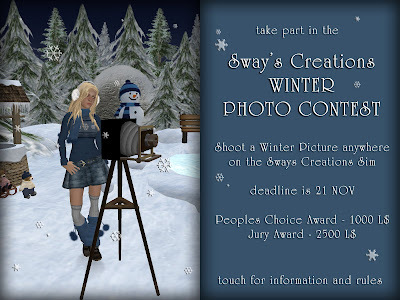 Take part in the Sway's Creations Winter Photo Contest. Shoot a picture anywhere on the new Sway's Creations Sim and send it to Sway Dench. and the Sway's Creations Sim.